There were stunning gowns and fashions that failed. Hair that delighted and hair that frightened. Both subtle and overt political statements were in full effect. 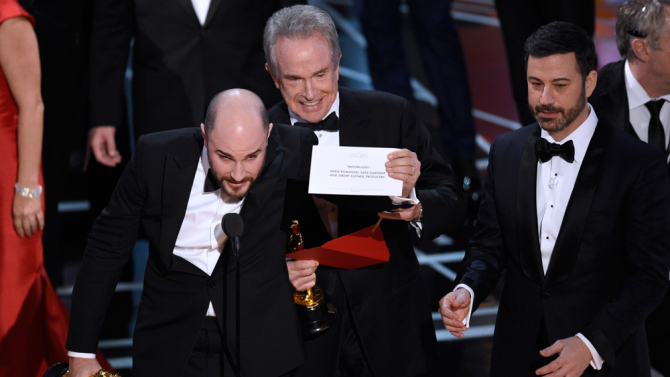 The epic snafu that led to the most memorable ending in awards show history. Ever, ever, EVER. And no, Hidden Figures is still not Hidden Fences. Yep, all that in a few minutes of surfing the web. I know a lot of people for which that would have been more than enough, but I was never that person. I was never that person until my dad died and it just hasn’t been the same since. Movies and my dad were synonymous. He loved them and the love I have for them undoubtedly comes from him. When we went to the movies it was always a special event. We had to get there early to get the best possible seats, and long before the previews aired. We sat with great anticipation awaiting the title to flash across the screen, while we enjoyed buttered popcorn, a very special treat. We didn’t talk once the movie started. There were probably a few times we forgot to breath. We watched intently with joy and intrigue, and a brand new giddiness each and every time. We bonded over characters and discussions of the plot. Sometimes there were tears. Always there was wonder. The experience was all encompassing. 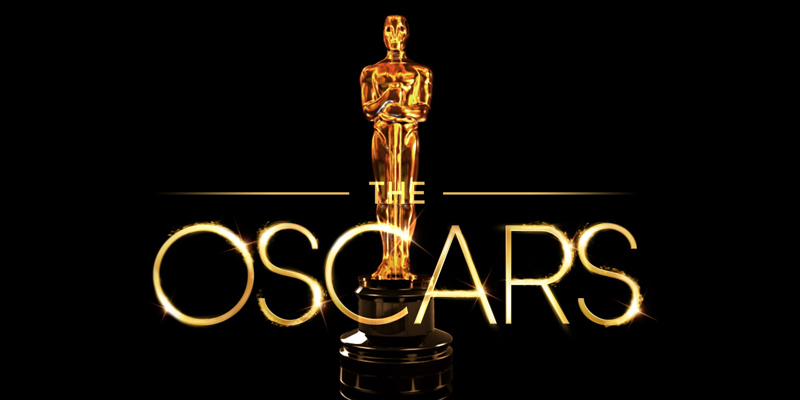 When it came time to watch the Oscar’s, it was like the culmination of our year of amazing movie adventures. You could find us watching the pre-show with our snacks and predictions, and there was absolutely no way we were missing a moment until the last winner was (correctly, hahaha) announced. It was our thing, our moment…it was ours. And when he died it was gone. After he passed away from the cancer, there was some discussion about throwing an Oscar Party in his honor each year. When it didn’t happen the first year I told myself it was still too fresh. Then another year passed. And another. The truth is I never made an effort because I knew it wouldn’t be the same. He wouldn’t be there to compare notes with or steal my snacks. He wouldn’t be there racing to the bathroom during the commercial break (this was before DVR people, LOL) or laughing his uproarious laugh. He wouldn’t be there with that look of pure happiness in his eyes, and when they showed the clip of that movie, the one I knew he’d love because it spoke to him, I wouldn’t be able to tell him how much it meant to me too. The movie magic is real to me, because of the memories I will always have. I will continue to feel all the feels when I walk into that theater, and I will have more unforgettable moments with my daughters and my man. But when they ask me one day if we can watch this award show, I’m not sure what I’ll say. Maybe by then I’ll be ready, or perhaps this will all be a thing of the past. And that the Oscar’s just aren’t the Oscar’s without the the presence of their Grandpa John. I’m so sorry. I know how those precious memories can be painful at the same time. Maybe watching with your girls would be a wonderful tribute and something you all share that’s special and you can say it all started from your dad ❤. I honestly never thought about that until I was writing this, but maybe it will be something special for the girls and I. Thank you Jamie. Your father sounds like a fun guy- keep those memories of him in the way that’s best for you…you’re a momma you know you’d want the same for your babies. 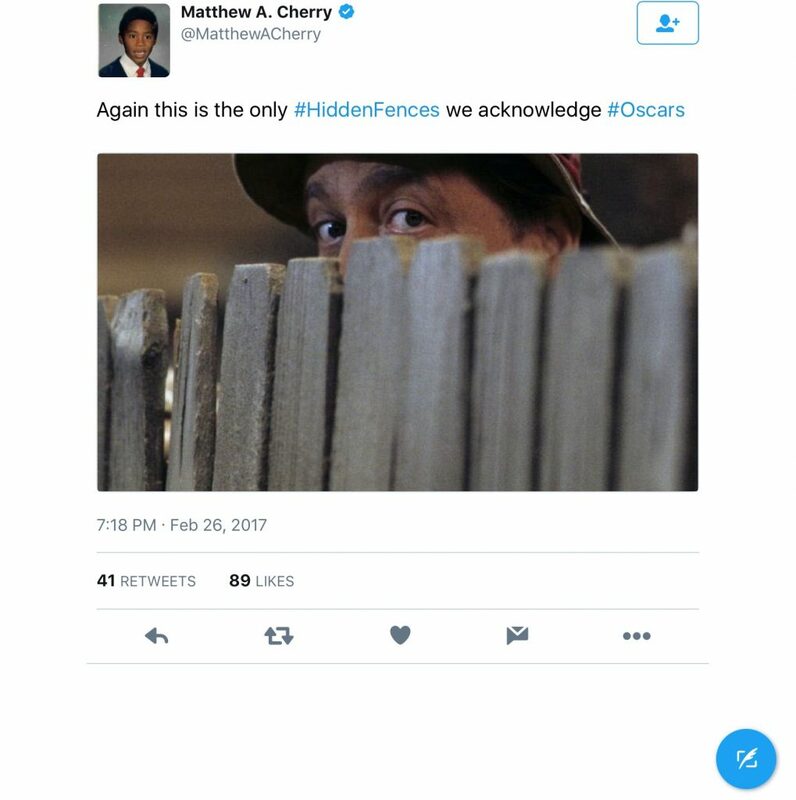 Hidden Fences had me laughing by the way…when I watched I was waiting for that slip up to Happen! I couldn’t resist with the Hidden Fences, haha. Thank you for your encouraging words Bonnie!! Gosh girl, this post really tugged at my heart. I was not expecting that. I’m so sorry that it’s not the same anymore. Grief is a strange thing isn’t it? It changes us. I love the picture you posted of you and your dad. Hopefully you can start your own memories & traditions with your kids that will help keep his memory alive. It certainly does change us..in so many ways. Thanks for reading and sharing your heart friend. I love my movie time with the family now. I know how you feel. My father loved skiing. We planned a West coast ski vacation every year, but since he passed in 2009 I have not made a ski trip since he has passed. I do not think I ever will. It is tough losing an amazing person who made your life special. Thank you Bobbi. I appreciate your sweet words so much! I so admire your bravery to blog about your grief and to invite us to hear about the special man that your dad was. Thank you for sharing. I also lost my mom to cancer. Grief is so hard. This was such a loving post. Your dad would be proud of YOU. Thank you Bethany. That means so much to me. He was a very special person. The best. As I’m sure your mom was as well. So, so beautiful! Your dad would be so proud of the woman that you are! Love you! Thank you Raven! Love you much friend!! Such a heartfelt post.. So sorry for your loss. It can be difficult to feel the same way about certain aspects of life after someone passes.. I can relate to this! Thank you very much Kari. I am so sorry for you loss. What a beautiful post. Sorry to hear this, Patty. I am sure you think about your dad every day. Healing is it’s own process and you are smart to do what works best for you. It is the only way. Thank you Beth. I really appreciate your kind words. Thank you Kim. I’m so sorry for your loss as well. Thank you for reminding me that I’m not alone. This is really touching, and I totally understand. Since the loss of my mom, I have avoided a few things. I totally get the “too fresh” feeling. I’m sorry for your loss. Thank you Christina. I’m so sorry for your loss as well. That’s so true Marquita. He would love movie time with the girls if he was here, and I do hope we can honor him with these traditions one day!! I’m sorry for your loss. 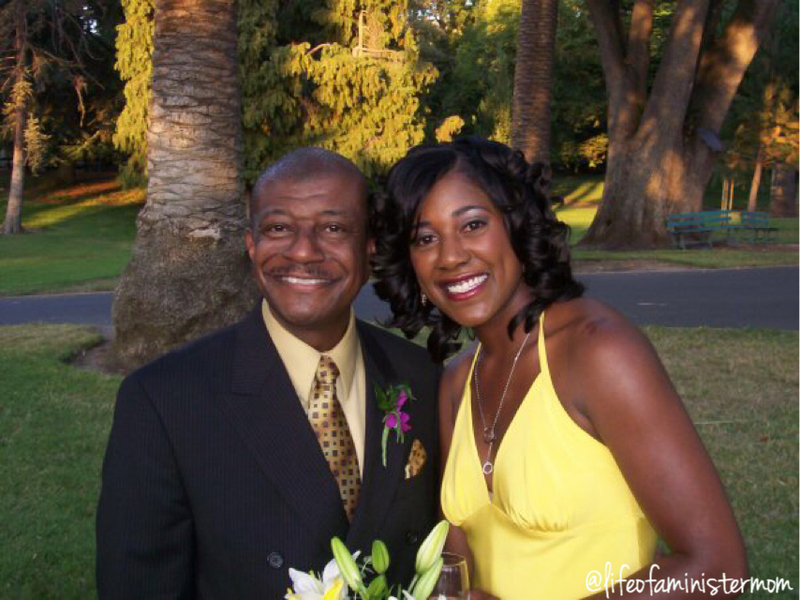 There’s a special place our fathers and father figures have in daughters’ hearts and it will never be the same. My father is alive but far so I don’t get to see him much. I know it’s not the same but I understand how you miss him even more with certain triggers and reminders. Thank you for sharing. He was amazing. Thank you Stefanie! Oh, this got me in all the feels. Big hugs to you, lady. I am so sorry for your loss. I feel that way about some places after losing my grandmother. Others I try to soak in so I can remember them. Grief is a funny thing. I hope you continue to enjoy movies with your family! I’m sure your children will have wonderful memories with you as well. This brought me to tears the second you brought up the “why”. I’m so sorry for your loss Patricia. I can only imagine what that feels like. My father and I have a powerful bond through music and I get emotional at times wondering the impact music will have once he is gone. Wondering if I will be able to have it in my life anymore. I know our Heavenly Father has a way of comforting those losses. May you create new memories with your children that will carry that bond you and your father started. Much love! Thank you Annette. I was a daddy’s girl til the very end and even though it hurts sometimes I’m glad we had our ‘thing’. I’m grateful for all the memories made and the ones to come with my family. Thank you Jacki. It can be so unexpected at times, but I’m so grateful for the memories, even when it hurts. What wonderful memories you have and what a sweet post. I haven’t had to experience anything like this, but can only imagine the little things in life that will spark my memory and stir my emotions. Thank you Adrienne. I truly cherish the memories! My heart aches for you… grief is such a finicky thing. I love you, girl! Praying a special prayer for you tonight! Thank you Stephanie. Your prayers are always appreciated! This is such a touching post! I totally understand where you are coming from. I’m so sorry for your loss but so happy to hear you have such fond memories together! Thank you Nicole! I appreciate you! What a beautiful and touching remembrance of your dad. I’m so sorry for your loss… I’ve found that the edges of grief soften a bit with time, but there are always still those memories, those traditions, that can take your breath away. Thinking good thoughts. You stated that beautifully Kate. Thank you for your kind words. The classical musicals are my favorites!! Have you seen Seven Brides for Seven Brothers? Love it, and the special time you must have had with your dear grandmother. I am so sorry that the show is like that for you now. I know how painful things like that can be. Thank you Rochelle. Perhaps I’ll watch with my girls one day. Sweet mama, I love that you have this special memory of your dad even though it is bitter sweet. I hope one day down the road you will be able to watch again or maybe throw that party you talked about. I love your heart Patty! It is bittersweet for sure!! A party would be nice one day though…Thank you for your constant encouragement and support Nicole!! friend. I had no idea where you were going with this post, but wow. I am so glad you had that time with your dad, but I can’t imagine how hard it is now. Thanks for your transparency, as always! Thank you Caroline. Love you friend!! This is so sweet and not at all what I was expecting. I have an uncle who I used to watch movies with for hours on end until he passed and that time in my life immediately came to mind. Oh Ashley, I’m so sorry for your loss, but I hope the memories you have with your uncle are lasting and sweet. Im sure it was a special time. You’re dad sounds like he was wonderful man. I know he’s smiling down on you! He was Heydy. The best!!! Thank you!! Thank you Susan. You give me such amazing support and I can’t begin to tell you what that means to me. 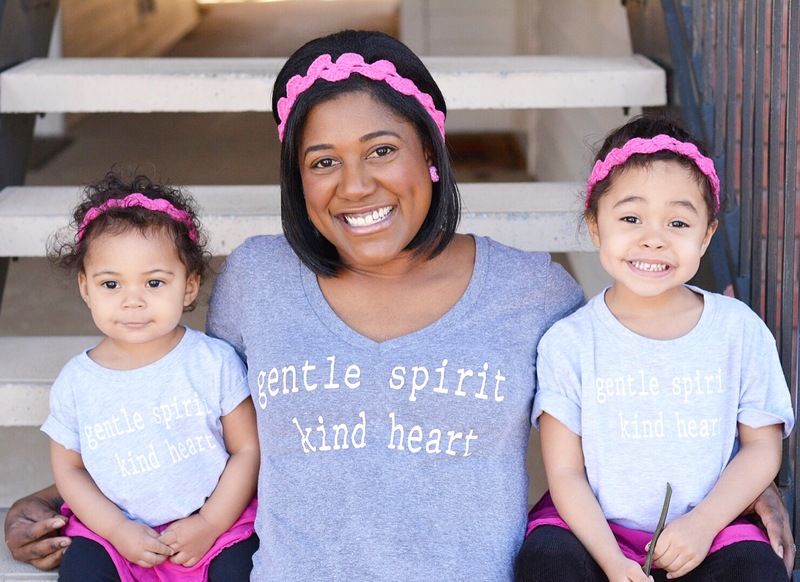 I will definitely do my best to continue to honor my father’s memory and share them with my girls! !